A set of box springs gets dumped at the Coffin Butte landfill. There’s nothing like a visit to the dump to make you think about the future. And about ice cream, of course, but that comes later. I had six 12-foot PVC panels designed to keep sun and rain off a patio, and after some years of service they had become discolored and brittle. I laboriously cut up the first one to fit in the trash can, then said the hell with that and ran the others over to Coffin Butte. 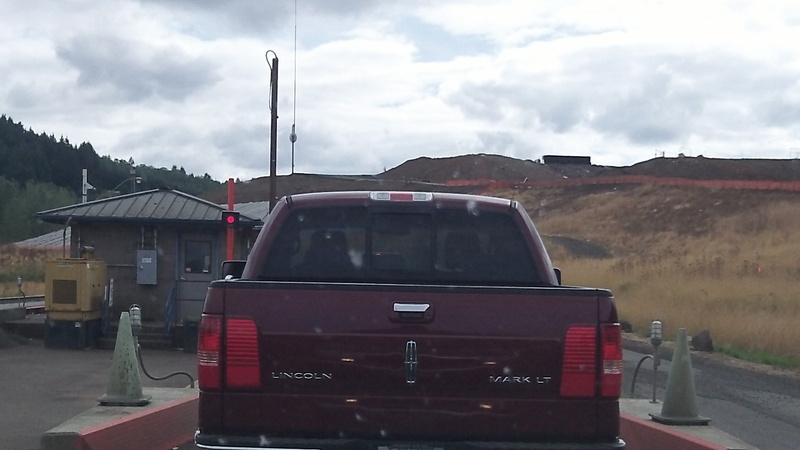 For years I’ve wondered how long all of northwest Oregon can dump most of its refuse there, but every time the answer has been the same: Longer than you’re going to live. Still, sooner or later this mountain of trash must reach its limit, doesn’t it? I think the plans are to raise the heap of compacted refuse to the same height as the butte that gives the site its name, filling the valley between that summit and the hills to the south. But when it’s full, what then? Seems like finding another site will be impossible. One main reason the landfill is so big is that it takes in refuse from several counties because other sites have been filled or closed. A look around the dumping area used by the pubic reminds me that recycling and so forth can take us only so far. The trash pile may be growing more slowly, but it’s growing nevertheless. Coffin Butte is well managed. That much is obvious. No stink, no winged scavengers circling in the sky; methane being extracted to generate power, safe and convenient dumping stations for the public to use, and so forth. It’s nothing like the dumps of old. The prices are handsome too. My five sheets of plastic weighed 80 pounds, according the slip the attendant handed me. For that, the charge was $24.50, including a $10 “environmental fee.” If you want to charge a stiff price, just invoke the environment. That seems to make objectors shut up. But it’s no wonder that to save money, some people dump their trash in the woods and leave bulky stuff like couches by the side of country roads. Trash mountain looms above customers leaving Coffin Butte. I grew up in Michigan and they turned a old mount trashmore into a ski area. Were you aware that there is a landfill near Arlington, Or? 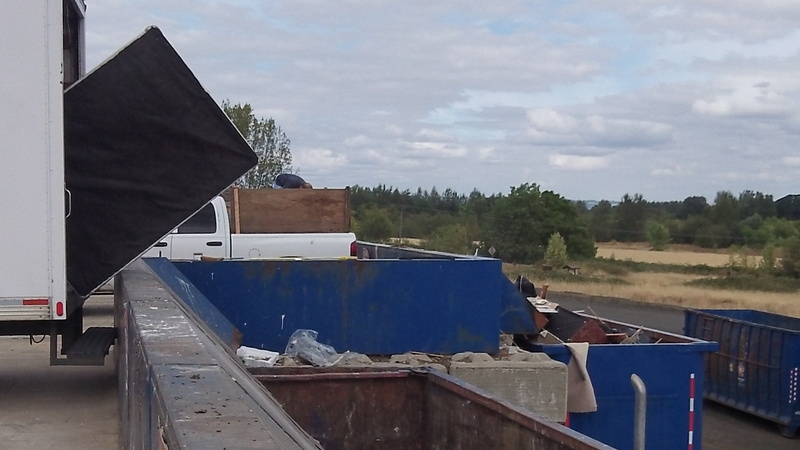 They haul garbage from as far as Seattle to dump there. It seems to me that the State of Washington should take care of their own trash.